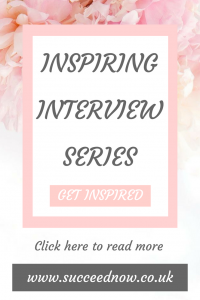 This is the start of the month long inspiring interview series. 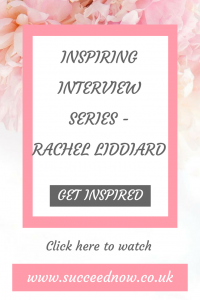 Today you can get inspired by the amazing Rachel Liddiard. Hi, my name is Rachel Liddiard, I’m 27. I work full time, as well as have my own business at home. I have a very lively and energetic 7 year old boy! My morning routine consists of getting up at around 6:30 am (some days earlier depending on my working shift) I say good morning to myself, to my partner, I say my affirmations and then I put on the radio and grab my Aloe from the fridge, I have my shot of Aloe. Then make my coffee. I then get ready for work, wake up my son and we have breakfast together. Then I listen to my son read some of his school reading books before we head off to work, I’ve been doing this every day for the past 2 years, I find I’m happier, & get up easily. Personal development is a huge part of my life and I am often made fun of due to my positive outlook, I like to take time for myself such as reading a book, or having a long soak in a bath with a face mask on, I take care of my skin and health too, I like to go for walks and just enjoy watching a film with my partner & son, I do at least 3 days of personal development each week, if I’m having a ‘bad day’ then I will do PD on that day, I think these have helped me massively with confidence, self-esteem & my anxiety! I also think a top tip would be to ‘unplug’ So I leave my phone in the bedroom when me and my partner are watching telly, or sitting eating a meal, or when I’m having a bath, I take time away from social media & just relax with my family. Nice interview! I believe we can all profit from the knowledge about personal development. Our lives are getting more complicated and stressful every day. I need to unplug more, like she says! Affirmations are so important. I’m totally impressed that at such a young age she is able to incorporate this into her daily routine. Okay I love starting the day with affirmations and a shot aloe sounds like a great start to me. No wonder she is successful inside and out. That sounds like a lovely morning routine! I need to work on mine. I’m all over the place. Also need to find more time to to read. Thanks for the inspiration. Great interview! What a great interview. Self development, self actualization and self awareness are so important. I too enjoy to unplug and unwind with a good book or having real conversations with family and friends.